High Quality Content by WIKIPEDIA articles! 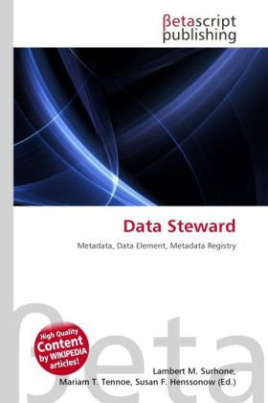 In metadata, a data steward's role is assigned to a person that is responsible for maintaining a data element in a metadata registry. Data stewardship roles are common when organizations are attempting to exchange data precisely and consistently between computer systems and reuse data-related resources. Master Data Management often makes references to the need for data stewardship for its implementation to succeed. Assignment of each data element to a person sometimes seems like an unimportant process. But many groups have found that people are more likely to trust and use a system where there is a person they can call with question on each data element.